On the hunt for a cool spot to lay. 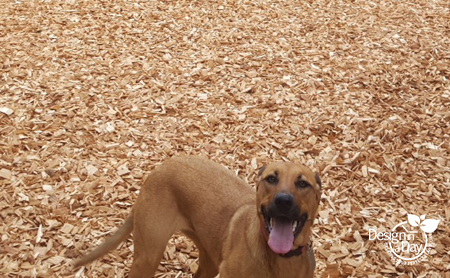 It’s hot and dogs are smart. They want shade and we can provide it or be warned, they may figure out something on their own. 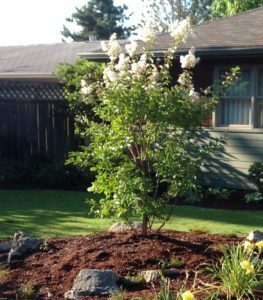 A lot of dogs left to their own devices in a treeless yard will dig a hole under your nice big hydrangea or other shrub and lay in the cool earth in shade. This may work out just fine for your pet but not your plant! If you have a big yard you probably have at least one big tree so you have shade. 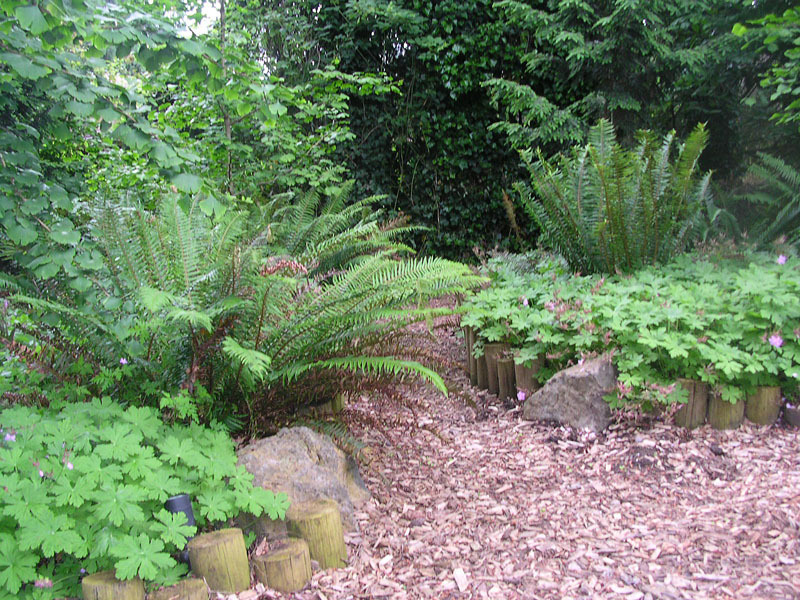 If you have a small landscape it gets trickier. Katsura H. Globe has medium sized heart shaped leaves and casts light shade. (Eventually 15′ – 20′.) I’ve not seen it this big in the Pacific Northwest. 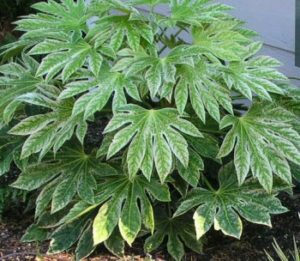 This Crape Mrytle has a thick leaf and can cast a heavy shade. Beautiful flowers, bark and fall color make it a favorite. (Eventually 20′ tall and wide.) I’ve not seen it this big in the Pacific Northwest. 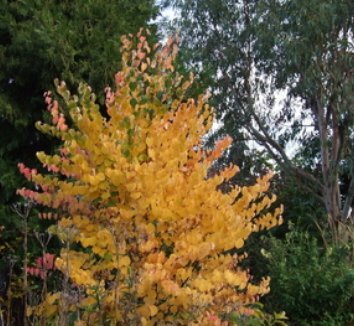 If you select Strawberry Tree Arbutus Unendo ‘Compacta’ be sure to purchase the compact variety. It is my top choice for heavy cooling shade for a small yard. I’ve seen this as a 15’x15′ vase shaped tree after ten years. Please note, too much summer water will kill this durable evergreen. This large shrub/small tree has large leaves and is great for dog shade. This plant is in Norma B.’s landscape. It was planted in 2013. It can be a 15’x15′ tree but typically is kept 10’x10′ with pruning. 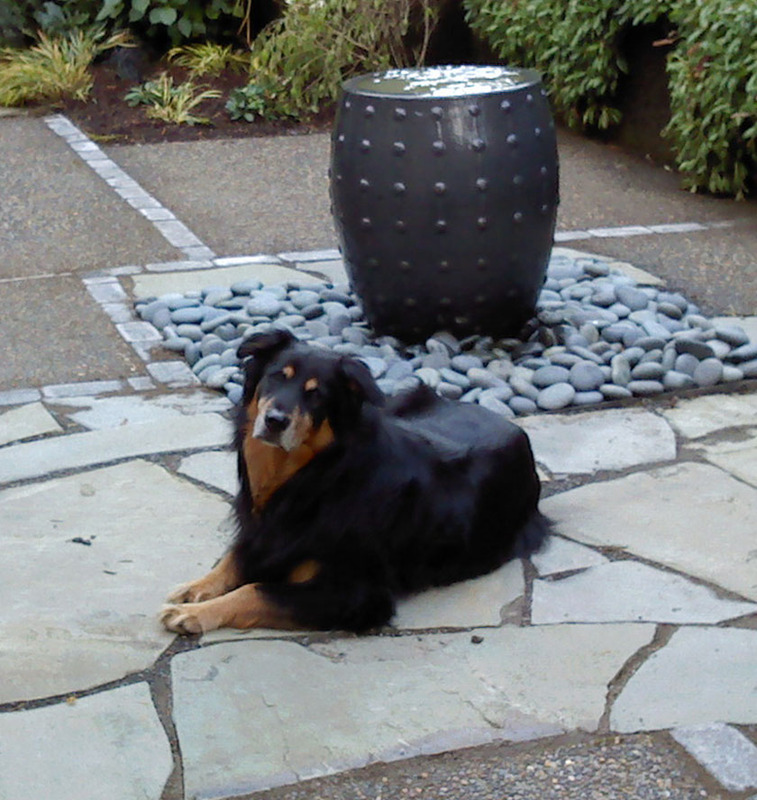 If you are interested in dog friendly landscaping for your yard, contact me in the Portland area. 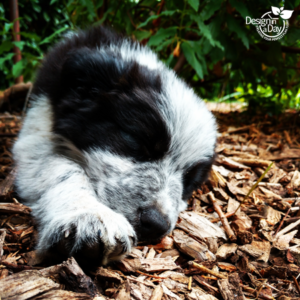 Portland Landscape designer Carol Lindsay lists her 5 favorite dog friendly landscaping plants for landscapes with dogs, or gardens near city parks where there will be dogs marking their territory and yours as well. 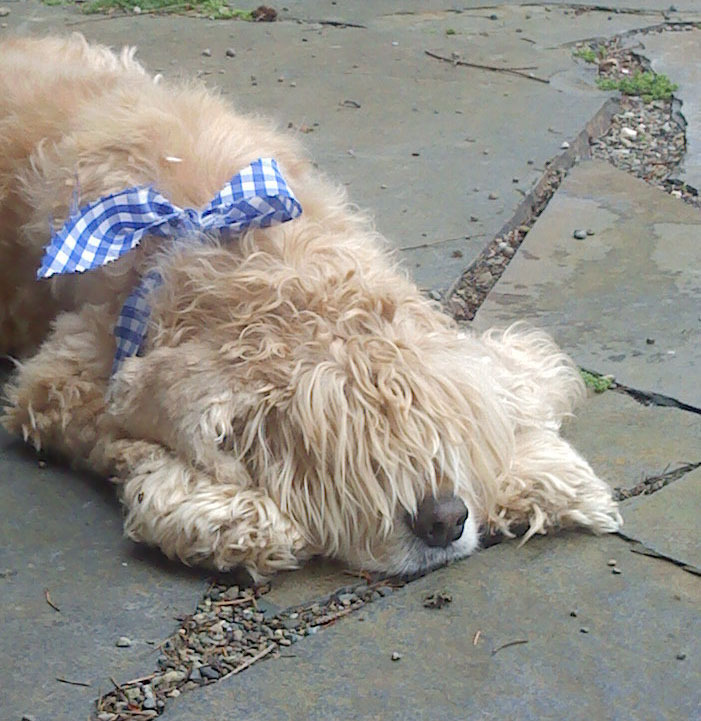 Dog urine can damage your plants. New leaves will be more damaged than older leaves. 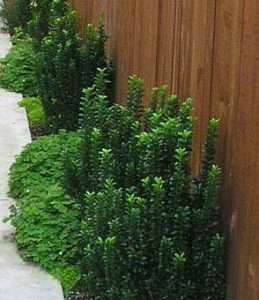 While most boxwood leaves are damaged from dog pee, if the leaf is freshly unfurled (in the spring for instance), it is softer, and more susceptible to urine damage. If the leaf has hardened off, (which happens in mid summer, there will be less damage. It is the nitrogen in urine and the acidic nature of the urine that burns the plants leaves. 1. 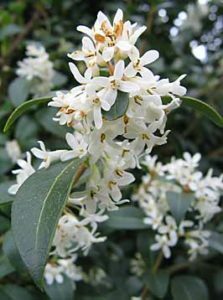 Burkwoods Osmanthus – Osmanthus Burkwoodii is a tough evergreen shrub that can be grown into a small tree if desired. It takes sun or part sun, has fragrant flowers and can handle abuse including dog pee. 2. My personal favorite is Euonymus Japonica ‘Green Spires’, commonly known as the Japanese Spindle Tree although it should be called a shrub. Like the Osmanthus, the Japanese Spindle has a very hard leaf. The urine doesn’t permeate the leaf like it would on a softer evergreen leaf. 3. Nandina, another favorite tough guy plant can be damaged by large volume dog pee but the stem with burned leaves can be removed and it will grow a new cane. There are many Nandina domestica doing well planted directly off a city sidewalk. 4. 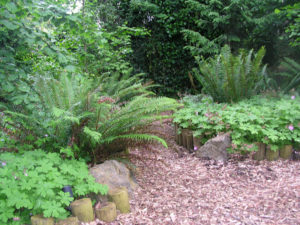 The NW native sword fern can handle many different sun and soil situations. 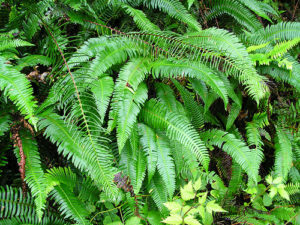 Most native plants are very tricky but our Sword Fern, Polystichum Munitum is one tough plant and can survive dog pee on its leaves. 5. Fatsia Japonica – Japanese Aralia grows into a small evergreen tree or can be pruned to stay a shrub. I love to use this plant in my shady backyards with dogs. 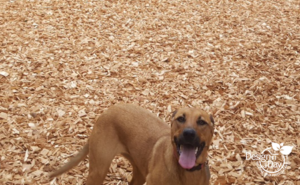 Protect it from your dogs for the first year with a temporary wire fence or put a big rock in front of it. Once established it will withstand plenty of dog pee and a fair amount of dog romping. Tip – Hosing down a plant can lessen or eliminate the damage if done soon after the “application” of the dog pee. This is fine for your own back yard but not practical for plants along city sidewalks. Consider volume. A pal of mine, has a Walker Hound who is 4′ tall and drinks at least 2 gallons of water of day. My dog Barley, weighs about 30 lbs and drinks a quart of water a day if it’s kinda hot. 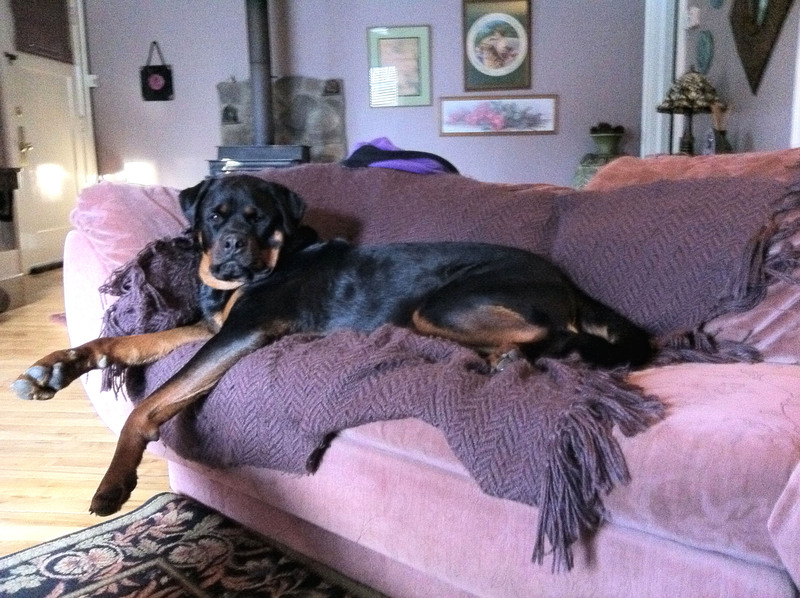 Is it obvious that the size of the dog and amount of urine is going to make a difference? Yes! 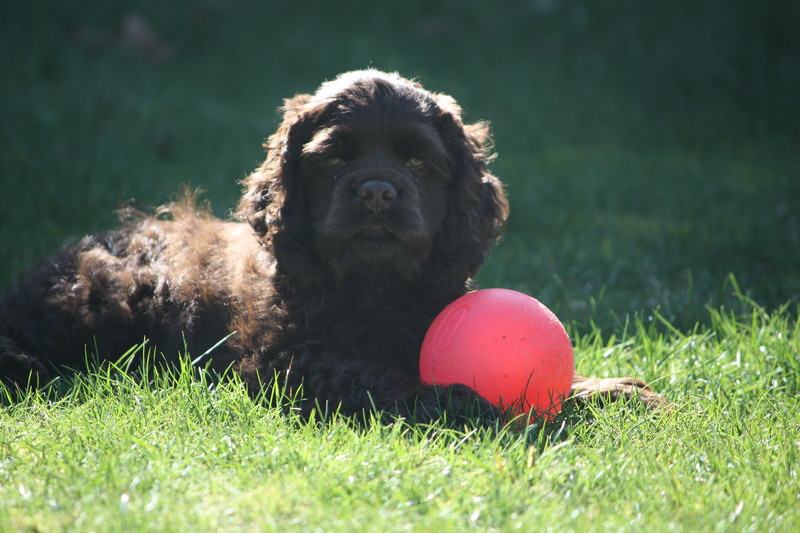 A plant that can handle near daily cocker spaniel pee will not do so with a large dog. 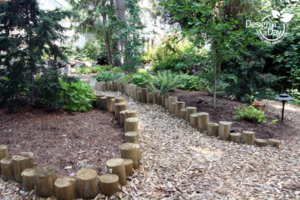 Read more about Dog Friendly Landscapes. 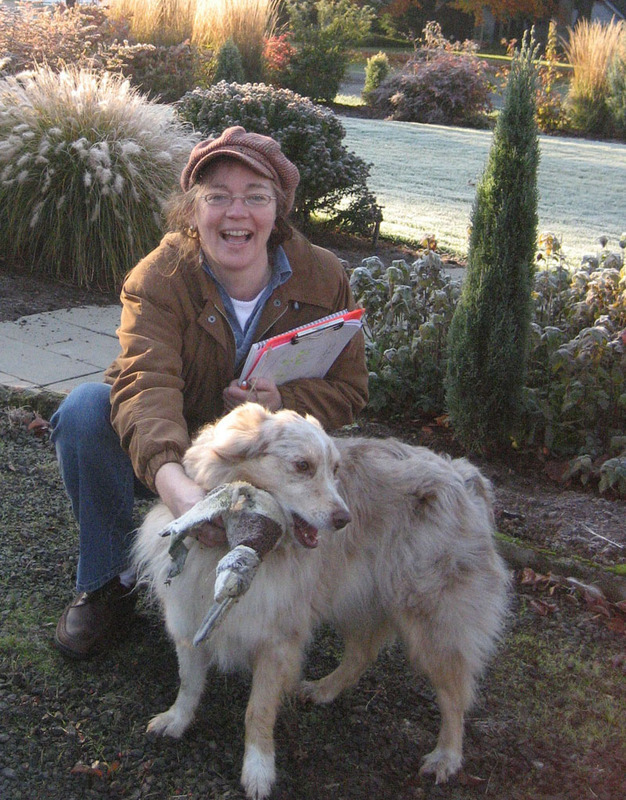 Carol Lindsay loves to create fast and affordable landscape designs that consider the whole family and that includes the dog of course.